WTF : Headquartered in Seoul, South Korea. Strong control over its huge population of member countries. HQ building is the well-known "Kukkiwon." ITF : used to be controled by Gen. Choi Hong Hi, but after his death there were splits and now there are several rival ITF bodies. Largest one is probably based out of North Korea. Others in Europe, etc. Lesser population worldwide. Now, WTF TKD is this behemoth of an organization and you'll find WTF TKD practiced in the farthest reaches of the world - from the high mountains of the Himalayas to the villages of Africa. The other day CNN was showing Taliban/Al Qaida training in Afghanistan, and guess what, these recruits were kicking those WTF kicking paddles (those kidney-shaped ones) with WTF style kicks - padachagi, doubles, triples, axe-kicks, etc. complete with tournament style "wachaa" kihaps! UNIFORMS: ITF = open-front jackets with black belts having a black trim at the bottom of the jackets and a black stripe running down the sides of their pants. WTF = pullover v-neck jackets with black belts usually having black trim on the v-neck collars. FORMS: ITF = predominantly still using the older (as in 1960s era) "Chang Hon" series of "Tuls" (forms/paterns) - they may have newer forms that I'm not aware of (I used to be a WTF guy). WTF = dropped the Chang Hon series for the "Palgwe" series in the 1970s and then adopted the "Taeguek" series of "Poomse" (forms). sidenote/personal rant: None of these forms make much sense, esp. 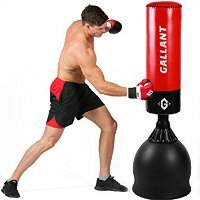 if you're thinking of learning any self-defense mves from them, or worse yet if you're thinking of fine-tuning your competition-sparring training!!! 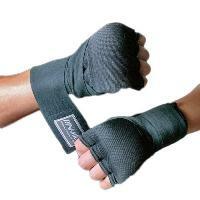 SPARRING: ITF = lighter contact, they wear those big foam gloves and foot-pads. WTF = wear body-protectors (hogu), helmets, and lately thin, finger-less gloves, full-contact kicks & punches to the body, kicks-only to the head. Finally, WTF = IN THE OLYMPICS. ITF = not. Although there have been regular noises made about "unifying" TKD for the Olympics and what not, but nothing much has come out of it yet. Taekwondo (/ˈtɛˈkwɒnˈdoʊ/) is a Korean martial art. Taekwondo was developed during the 1940s and 1950s by various Korean martial artists combining and incorporating the elements of Karate and Chinese Martial Arts along with the indigenous Korean martial arts traditions of Taekkyeon, Subak, and Gwonbeop. The oldest governing body for taekwondo is the Korea Taekwondo Association (KTA), formed in 1959 by a collaborative effort by representatives from the nine original kwans, or martial arts schools, in Korea. 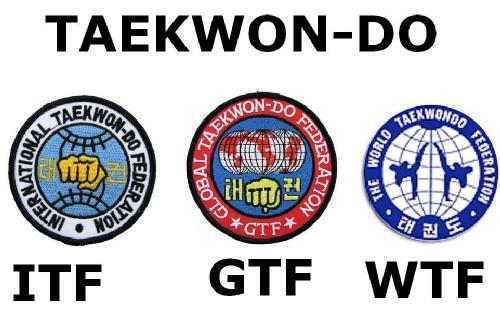 The main international organizational bodies for taekwondo today are the International Taekwon-Do Federation (ITF), founded by General Choi Hong Hi in 1966, and the World Taekwondo Federation (WTF), founded in 1973 by the KTA. Gyeorugi ([kjʌɾuɡi]), a type of full-contact sparring, has been an Olympic event since 1992. The body known for taekwondo in the Olympics is the World Taekwondo Federation. 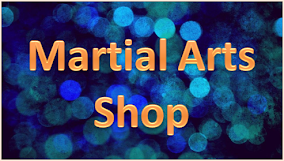 Beginning in 1947, shortly after the end of the occupation of Korea by Imperial Japan, new martial arts schools called kwans were opened in Seoul. These schools were established by Korean martial artists who had studied primarily in Japan during the Japanese rule. 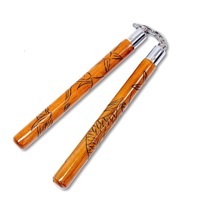 The umbrella term traditional taekwondo typically refers to the martial arts practiced by the kwans during the 1940s and 1950s, though in reality the term "taekwondo" had not yet been coined at that time, and indeed each kwan was practicing their own unique style of martial art. During this timeframe taekwondo was also adopted for use by the South Korean military, which only served to increase its popularity among civilian martial arts schools. After witnessing a martial arts demonstration by the military in 1952, South Korean President Syngman Rhee urged that the martial arts styles of the kwans be merged. Beginning in 1955 the leaders of the kwans began discussing in earnest the possibility of creating a unified style of Korean martial art. The name Tae Soo Do was used to describe this notional unified style. This name consists of the hanja 跆 tae "to stomp, trample", 手 su "hand" and 道 do "way, discipline". Cold War politics of the 1960s and 1970s complicated the adoption of ITF-style taekwondo as a unified style, however. The South Korean government wished to avoid North Korean influence on the martial art. Conversely, ITF president Choi Hong Hi sought support for the martial art from all quarters, including North Korea. In response, in 1973 South Korea withdrew its support for the ITF. The ITF continued to function as an independent federation, then headquartered in Toronto, Canada; Choi continued to develop the ITF-style, notably with the 1987 publication of his Encyclopedia of Taekwondo. After Choi's retirement the ITF split in 2001 and then again in 2002 to create three separate federations each of which continues to operate today under the same name. In 1973 the South Korean government's Ministry of Culture, Sports and Tourism established the Kukkiwon as the new national academy for taekwondo. Kukkiwon now served many of the functions previously served by the KTA, in terms of defining a government-sponsored unified style of taekwondo. In 1973 the KTA supported the establishment of the World Taekwondo Federation (WTF) to promote taekwondo specifically as an international sport. WTF competitions employ Kukkiwon-style taekwondo. 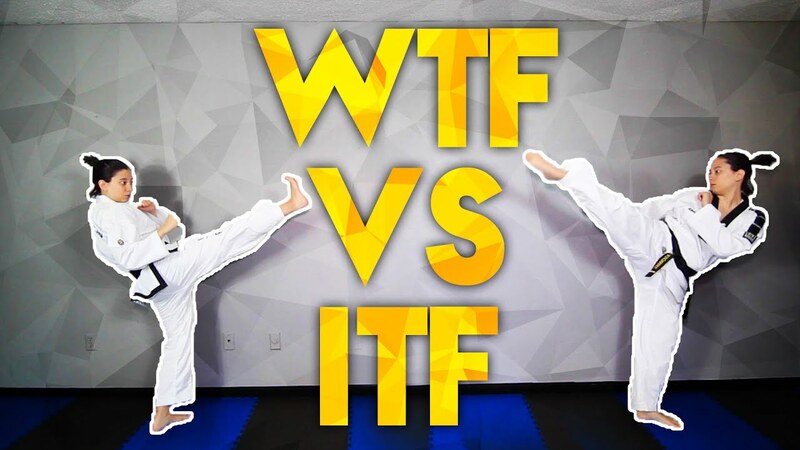 For this reason, Kukkiwon-style taekwondo is often referred to as WTF-style taekwondo, sport-style taekwondo, or Olympic-style taekwondo, though in reality the style is defined by the Kukkiwon, not the WTF. The term traditional taekwon typically refers to martial arts practiced in Korea during the 1940s and 1950s by the nine original kwans after the conclusion of the Japanese occupation of Korea at the end of World War II. The term taekwondo had not yet been coined. In reality, each of the nine kwans practiced its own style of martial arts, so the term traditional taekwondo serves as an umbrella term for these various styles. Traditional taekwondo is still studied today in addition to traditional Korean martial arts styles such as Tang Soo Do and Soo Bahk Do. The original schools (kwans) that formed the organization that would eventually become Kukkiwon continue to exist as independent fraternal membership organizations that support the World Taekwondo Federation and Kukkiwon. The official curriculum of the kwans is that of Kukkiwon. The kwans also function as a channel for the issuing of Kukkiwon dan and poom certification (black belt ranks) for their members. International Taekwon-Do Federation (ITF)-style taekwondo, more accurately known as Chang Hon-style taekwondo, is defined by Choi Hong Hi's Encyclopedia of Taekwon-do published in 1987. - The style of taekwon-do practiced by the ITF before its 1973 split with the KTA is sometimes called by ITF practitioners "traditional taekwon-do", though a more accurate term would be traditional ITF taekwon-do. 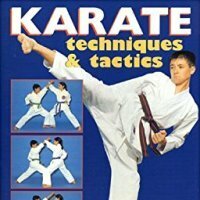 - After the 1973 split, Choi Hong Hi continued to develop and refine the style, ultimately publishing his work in his 1987 Encyclopedia of Taekwondo. Among the refinements incorporated into this new sub-style is the "sine wave"; one of Choi Hong Hi's later principles of taekwondo is that the body's center of gravity should be raised-and-lowered throughout a movement. In 1969, Haeng Ung Lee, a former taekwondo instructor in the South Korean military, relocated to Omaha, Nebraska and established a chain of martial arts schools in the United States under the banner of the American Taekwondo Association (ATA). 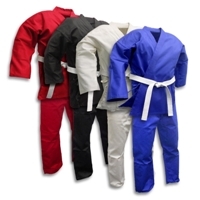 Like Jhoon Rhee taekwondo, ATA taekwondo has its roots in traditional taekwondo. The style of taekwondo practiced by the ATA is called Songahm taekwondo. The ATA went on to become one of the largest chains of taekwondo schools in the United States. The ATA has established international spin-offs called the Songahm Taekwondo Federation (STF) and the World Traditional Taekwondo Union (WTTU) to promote the practice of Songahm taekwondo internationally. Jhoon Rhee-style taekwondo is still practiced primarily in the United States and eastern Europe. In 1972 the Korea Taekwondo Association (KTA) Central Dojang opened in Seoul in 1972; in 1973 the name was changed to Kukkiwon. Under the sponsorship of the South Korean government's Ministry of Culture, Sports and Tourism the Kukkiwon became the new national academy for taekwondo, thereby establishing a new "unified" style of taekwondo. 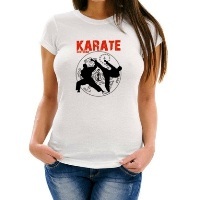 In 1973 the KTA established the World Taekwondo Federation (WTF) to promote taekwondo as a sport. The International Olympic Committee recognized the WTF and taekwondo sparring in 1980. For this reason, Kukkiwon-style taekwondo is sometimes referred to as Sport-style taekwondo, Olympic-style taekwondo, or WTF-style taekwondo, though technically the style itself is defined by the Kukkiwon, not the WTF. 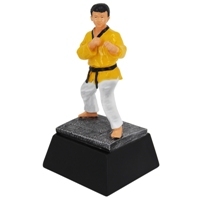 In Kukkiwon/WTF-style taekwondo, the word used for "forms" is poomsae. In 1967 the KTA established a new set of forms called the Palgwae poomse, named after the eight trigrams of the I Ching. In 1971 however (after additional kwans had joined the KTA), the KTA and Kukkiwon adopted a new set of color-belt forms instead, called the Taegeuk poomsae. Black belt forms are called yudanja poomsae. While ITF-style forms refer to key elements of Korean history, Kukkwon/WTF-style forms refer instead to elements of sino-Korean philosophy such as the I Ching and the taegeuk. WTF-sanctioned tournaments allow any person, regardless of school affiliation or martial arts style, to compete in WTF events as long as he or she is a member of the WTF Member National Association in his or her nation; this allows essentially anyone to compete in WTF-sanctioned competitions.